It is a fact that a thesis is an interminable piece of writing and a thesis writing task is divided into different sections. These sections are known as chapters. There is not a big difference between these chapters of an undergraduate thesis and a master’s thesis. Anyhow, the length of an undergraduate thesis is smaller than a master’s thesis. Due to this reason, the length of the chapters of an undergraduate thesis is also smaller than a master’s thesis. That’s why it is easy to write an undergraduate thesis than a master’s thesis. Either you are going to write a master’s thesis or an undergraduate thesis, then the first step is to select a topic. The topic of a thesis should be feasible, relevant and up-to-date. These topic requirements are the same for a master’s thesis as well as for an undergraduate thesis. You can’t commence the thesis writing task without approving a proposal from your advisor. For an undergraduate thesis, there is no need to write an in-depth proposal. On the other hand, for a graduate dissertation, it is necessary for you to write an in-depth proposal. This thing also makes the undergraduate thesis writing task easier than master’s thesis writing task. To write an undergraduate thesis or a master’s thesis, there requires a huge amount of data. The only way to gather such a huge amount of data is to conduct an effective research. 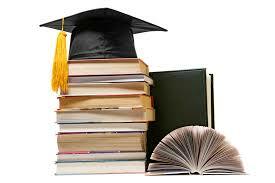 The research requirements for an undergraduate thesis and a master’s thesis are almost the same. Anyhow, to write a master’s thesis, you will have to conduct more in-depth research than an undergraduate thesis. This thing also makes the undergraduate thesis writing task easier than a master’s thesis writing task. Either you are going to write a master’s thesis or an undergraduate thesis, then it is one of the most important requirements that it should be free from the plagiarism issues. In other words, you will have to create unique and original work for your thesis. Anyhow, to write a master’s thesis, there requires a sophisticated and high level of writing than an undergraduate writing. This thing also makes the undergraduate thesis writing task easier than a master’s thesis writing task. To sum up, we can say that it is easy for the students to write an undergraduate thesis than a master’s thesis.